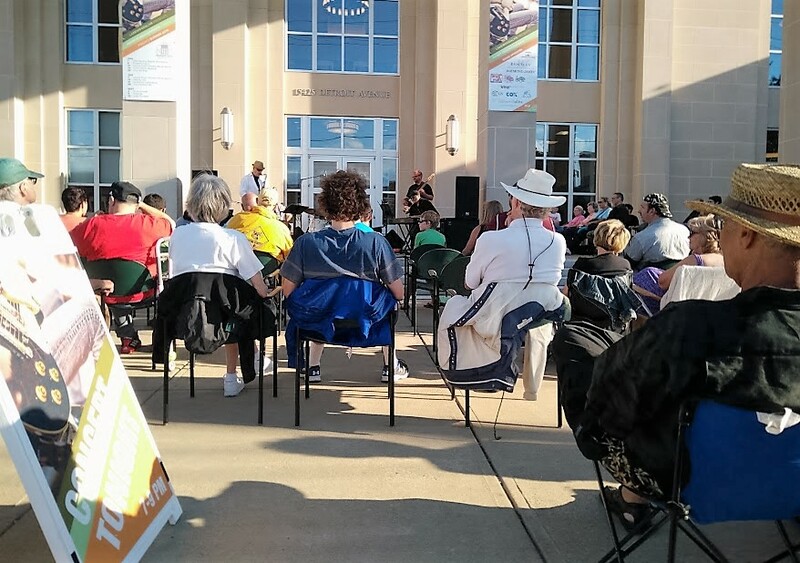 In the liner notes from Hillbilly Idol’s first album, it’s written that “It ain’t your Grandpa’s country music, but he’d probably approve.” It’s likely you’ll approve, too, should you attend the country band’s performance this Friday, Aug. 12, as part of LakewoodAlive’s Front Porch Concert Series. Hillbilly Idol takes the stage in Downtown Lakewood this Friday, Aug. 12, at 7 p.m.
Week 7 of the series brings to the stage Hillbilly Idol – a country and blue grass band renowned for its harmony and longevity. Since forming in 1991, Hillbilly Idol has played consistently and produced three critically-acclaimed studio CDs, offering its audience country music with an adventurous spirit. The band consists of Paul Kovac (singer, guitar, banjo, mandolin) Al Moss (pedal steel, guitar, singer), Brian Davidson (electric & acoustic guitar, singer), Gary Naherny (drums) and Lakewood’s own Mike Pella (bass, singer).